“What a location!” are always the words of first-time visitors to The Point. Old friends returning say “you can never get enough of the view”. Located at the very end of Gun Point, the most southerly peninsula on Great Island – The Dostie Family welcomes you to The Point. 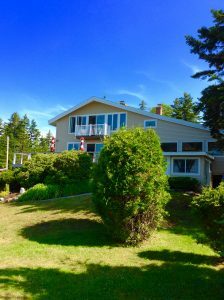 Start your stay sipping a steaming cup of coffee while overlooking one of Mid-coast Maine’s most stunning vistas. Hike the two-mile quiet private road or explore the shoreline for natural treasures. Skip stones from the beach or paddle the sheltered cove in search of seals. 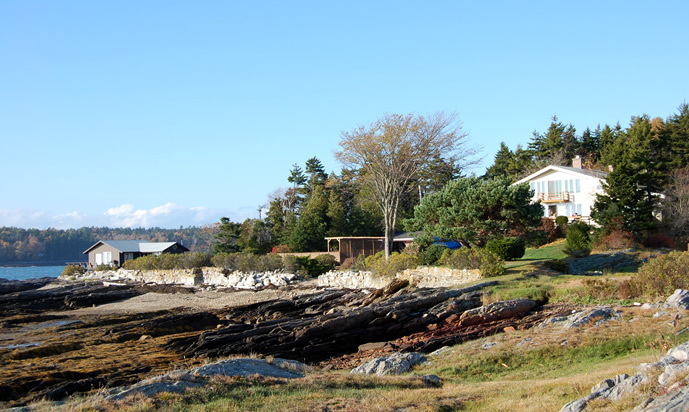 Whatever you choose, you will soon be lost to your surroundings – Maine’s natural beauty at its best.